CCleaner removes unused and temporary files from your system – allowing it to run faster, more efficiently and giving you more hard disk space. CCleaner also comes with a registry scanner that scans for invalid references (advanced users) . Including File Extensions, ActiveX Controls, ClassIDs, ProgIDs, Uninstallers, Shared DLLs, Fonts, Help Files, Application Paths, Icons, Invalid Shortcuts and more… Backup for registry clean. You may not realize how many duplicate files are stored on your computer, taking up valuable hard drive space. CCleaner now includes a duplicate file finder tool, which can quickly find these files, and allow you to choose which ones to delete – freeing up more space on your PC than ever before! 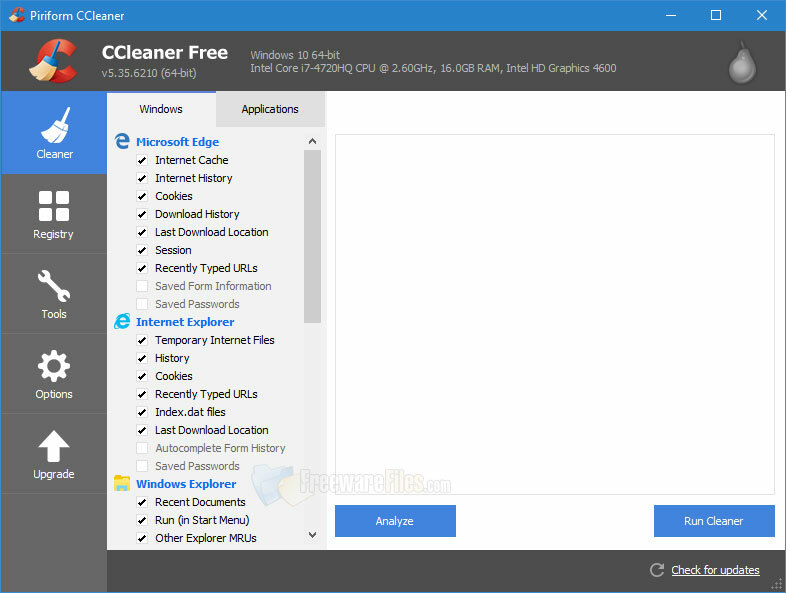 If you’re a CCleaner Professional user, you can now set CCleaner to run every time you shut down your browser, or you can set it to monitor your entire system in the background and detect when to Clean based on disk space that can be saved!